Leopold Stokowski and the Philadelphia Orchestra recorded Russian composers extensively during the acoustic era. On another page of this site, you can read about and hear the Leopold Stokowski - Philadelphia Orchestra Acoustic Recordings of Tchaikovsky. In addition to the Tchaikovsky, Stokowski also recorded a number of other acoustic sides of Russian composers which were approved by Stokowski and released by Victor from 1919 until the end of the acoustic recording era in 1924. 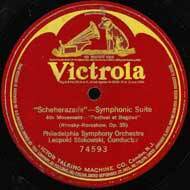 In 1919, 1920 and 1921, Stokowski and the Philadelphia Orchestra tried three times to record music from Nicolai Rimsky-Korsakov's Scheherazade. These were the "Festival at Baghdad" successfully recorded on 9 May 1919, and "Young Prince and the Young Princess" recorded in 18, 19 October and later 6 December 1920, unsuccessfully, and on 25 March 1921, successfully. In the 9 May 1919 recording session, in the 4th 'take' of 5, they successfully recorded Scheherazade movement IV: the Festival at Baghdad. This recording is sonically and artistically successful, particularly given the challenges of the acoustic recording process of 1919. This recording seems to be recorded at a pitch below the original score. Speeding up the reproduction so as to achieve the pitch of the score results in a reproduction which seems to me too fast, unlike the majestic Rimsky-Korsakov depiction of the Festival at Baghdad. So, here I reproduce it at the pitch that I believe correct for this recording, even though not at the note pitch of the score. This recording of Scheherazade: Festival at Baghdad was released in September, 1919 on Victor Red Seal 12 inch (30 cm) disk 74593, matrix number C-22810-4. Click here to listen to (download) the 1919 Scheherazade - movement IV "Festival at Baghdad"
Then, on 25 March 25 1921, the same day they recorded Wagner's "Ride of the Valkyries" from Die Walküre, they successfully recorded movement III "Young Prince and Young Princess" from Scheherazade. 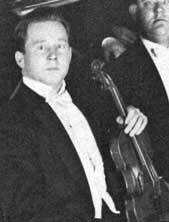 This recording features a beautiful violin solo played by Thaddeus Rich, Concertmaster. This recording was issued on a Victor 12 inch (30 cm) single sided Red Seal disc 74691 and in Europe by the Gramophone Company on 3-0646, also a 12 inch (30 cm) single sided disc. Ten takes were made with matrix C-24629-10 being released. Click here to listen to (download) the 1921 Scheherazade - movement III "Young Prince and Young Princess"
Stokowski was an early advocate of the Caucasian Sketches, a series of tone poems by Mikhail Ippolitov-Ivanov. In fact, this work was included in the first concert Stokowski conducted on 12 May 1909 with the Colonne Orchestra of Paris 1. He performed it again during his debut in London on 18 May 1909. Stokowski performed music from this work during every season in Cincinnati 1909-1912 and in his first season 1912-1913 with the Philadelphia Orchestra. The first of the Stokowski - Philadelphia Orchestra recordings of this work was the "Procession of the Sardar", which Stokowski caused to be labeled "March of the Caucasian Chief" on this disk, so as to describe the subject. It was recorded 29 April 1922 in the Camden Church Studio, and issued on Victor Red Seal 10 inch (25 cm) disk 66106, matrix B-26442-2. 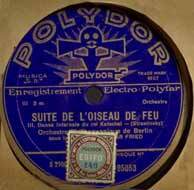 In Europe, the Gramophone Company issued the recording on a 10 inch (25 cm) Gramophone disc 3-0570. Only 29 musicians were used in this recording: 7 first violins, 4 second violins, 3 violas, 4 celli, 3 clarinets, 2 oboes, 1 English horn, 2 flutes, 2 bassoons, and 1 tuba 2. This 1922 recording is vivid and demonstrates Stokowski's interest in this work. This recording, along with Stokowski's 1927 electrical recording of the "Procession of the Sardar" presents a grandeur of performance not often heard today. The 1922 acoustic performance of the "Procession of the Sardar" is effective and communicates well Stokowski's affinity for this score, little-performed today, yet made noble and striking in Stokowski's hands. Click on the link below to listen to this successful 1922 recording. Click here to listen to (download) the 1922 Ippolitov-Ivanov "Procession of the Sardar"
Among the conductors of the Twentieth Century, perhaps no other conductor was as sympathetic and knowledgeable as Stokowski in the music of Modest Mussorgsky. He performed extensively from Mussorgsky's compositions, many of which were left incomplete on the composer's early death (Modest Mussorgsky lived 1839-1881). 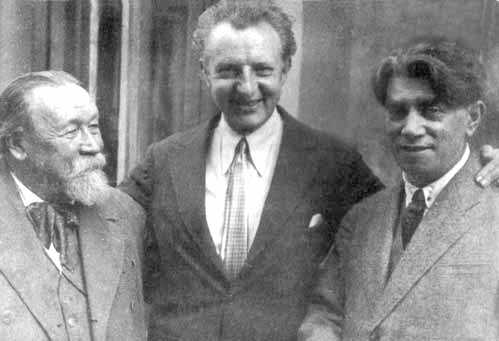 Stokowski throughout his long career sought to restore Mussorgsky's scores to what he regarded as the composer's Slavic intentions, and to remove what he regarded as "French" influences of Rimsky-Korsakov and others who tried to prepare Mussorgsky's unfinished scores in a concert-ready form. The opera Khovanshchina was unfinished and unperformed when the Mussorgsky died in 1881. In 1881-1882, Nikolai Rimsky-Korsakov completed and totally revised Khovanshchina. Rimsky's revisions and complete rescoring of Mussorgsky' score motivated Dmitri Shostakovich to revise the opera in 1959 based on Mussorgsky's original score, today, it is the Shostakovich version that is usually performed. 29 musicians were used in this recording: : 11 violins, 3 violas, 2 cellos, 2 flutes, 2 oboes, 1 English horn, 2 bassoons, 1 contrabassoon, 2 clarinets, 3 trumpets, 3 trombones, 4 horns, 1 tuba, 1 clarinet, 1 bass clarinet (to reinforce the bass), 1 saxophone, 1 harp, and 1 percussion. 2. For such a deep and brooding work, which should be particularly difficult for the acoustic recording process, this 1922 recording is remarkably successful. The recording was issued on a Victor Red Seal 12 inch (30 cm) disc Victor 74803 in 1923. The matrix number was C-27069, take number 4. In Europe, the Gramophone Company issued the recording under catalogue number 3-0854. This recording was later issued on a two-sided Victor Red Seal disc Victor 6366 coupled with the April, 1921 recording of Sibelius Finlandia. Nicolai Rimsky-Korsakov was another favorite of Stokowski. In late 1923, he recorded an excerpt from Act 3 of Rimsky-Korsakov's opera Snegurochka - the "Snow Maiden" the so-called 'Dance of the Tumblers'. Snegurochka was an important opera for Rimski-Korsakov. He had gone through a difficult creative period between 1874 and 1877. Then, with his opera "May Night" of 1878, based on Russian folklore and the short story of Nikolai Gogol, he seems to have recaptured his creative inspiration. "Snegurochka" then followed the next year in 1879, once again based on Russian folklore, and with an orchestration that was both effective and transparent. According to the Russian fairy tail, Snegurochka was the daughter of Spring and Frost. Snegurochka wanted to experience human love, but after this was granted to her, it came with the unfortunate result that she then melted from the experience. The orchestral suite from Snegurochka was yet another of the many U.S. premieres made by the Russian Symphony Orchestra Society of New York which the Russian Symphony Orchestra performed November 18, 1905, on the same program that they gave the U.S. premiere of Rachmaninoff's Piano Concerto no 2, with the composer. What a program ! Click here to hear the Dance of the Tumblers from Act 3 of Rimsky-Korsakov's opera "Snegurochka"
In December of 1924, Stokowski recorded the Dance of the Amazon, opus 65 by Anatoly Lyadov (1855-1914). This is a short piece, composed in 1910, and so nearly a contemporary work at the time of its recordings. 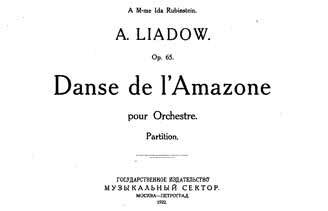 The Dance of the Amazon or Danse de l'Amazone was among Lyadov's last compositions. It is often said of Lyadov that he never completed a large-scale work, but only miniatures. One of the indirect benefits of Lyadov's lack of diligence in his composing may have been an opportunity for Stravinsky. 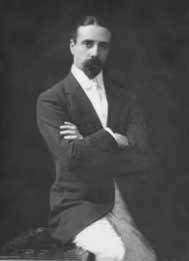 Serge Diaghilev (1872-1929) asked Lyadov to compose a new score for his Ballets Russes for the 1910 season. Perhaps this Dance of the Amazon was intended by Lyadov to be part of the ballet score which he failed to complete for Diaghilev. In any case, when Lyadov failed to deliver the ballet score, Diaghilev then asked Stravinsky, age 27 and at that time barely known, to fulfill the commission, which resulted in Stravinsky's first widely recognized work, The Firebird. This Stokowski recording, although at the very end of the Victor acoustic recording era was in fact introduced commercially the following summer of 1925, in the midst of the release of the first Victor Orthophonic electrical recordings. However, during most of 1925, Victor (and rival Columbia, who had also licensed the Western Electric process) did not promote the fact that certain recordings had been made with the electrical recording process. Victor did not begin such a promotion of the new technology until the 'Victor Day' promotion of November, 1925 (as described in Victor Day in Leopold Stokowski - Philadelphia Orchestra Electrical Recordings of 1925). However, Victor dealers were encouraged to play the new electrical recordings on the Victrola equipment to demonstrate their quality. For these reasons of a late commercial release, and competition from the dramatically improved electrical process recordings, this Lyadov disk, released as Victor Red Seal 10 inch (25 cm) disk 1112, matrix B 31263-2 did not sell particularly well, and is particularly rare among Stokowski recordings. However, the sound and the performance are both excellent for the acoustic era, and the playing is invigorating. Orchestral complement was: 7 first violins, 4 second violins, 3 violas, 2 celli, 1 piccolo, 2 flutes, 2 oboes, 1 English horn, 2 bassoons, 2 clarinets, 1 bass clarinet, 1 contra-bassoon, 1 bass saxophone, 3 trumpets, 4 horns, 1 tuba, 1 piano, 1 harp, and 1 percussion. Click on the link below to hear the Lyadov Dance of the Amazon opus 65 from late 1924. Another pioneering recording by Stokowski and the Philadelphians was their 1922 acoustic recording of Fireworks or Feu d'artifice, an early Stravinsky composition as indicated by its opus 4 number. This was the first American recording of any work by Stravinsky. The sound of this recording effort was effective and must have given such early listeners a fine impression of this work. Also, Stokowski used a timpani in this session, which Victor had avoided in most of the previous acoustic recordings. Although recorded 6 November 1922, is was not released until mid 1925, coupled with the Lyadov Dance of the Amazon, described above. Because of this late issue, and probably due to the avant-garde (or even 'unknown' nature) of Stravinsky at that time, the disk did not sell very well. It was issued on a 10 inch (25 cm) Victor Red Seal disc 1112, one of the rarer Stokowski recordings. It was not released in Europe. Although this recording was only briefly available commercially, it is remarkably successful, given the limitations of the acoustic process. The orchestra complement was: 7 first violins, 4 second violins, 3 violas, 2 celli, 4 string basses, 1 harp, 3 flutes, 2 oboes, 1 English horn, 2 clarinets, 1 bass clarinet, 2 bassoons, 4 horns, 3 trumpets, 2 tubas, and percussion. The 1924 Stokowski recording of the Suite from the Firebird was certainly a pioneering recording. In fact, according to C.G. Arnold's excellent acoustic discography The Orchestra on Record, 1896 - 1926, An Encyclopedia of Orchestral Recordings Made by the Acoustical Process 3, there was not any other prior recording of any Stravinsky work by any conductor or orchestra, other than the Stokowski Feu d'artifice, and a somewhat strange Sir Thomas Beecham recording of June 1916 (just before he was knighted). Beecham's recording included three movements from the Firebird. These three selections were, as usual in that era, heavily cut, and only two of the movements were finally released by Columbia. These were Dance of the Firebird and the Infernal Dance. There are a number of remarkable surprises about these Beecham recordings. First, it would seem that Stravinsky's compositions were not among the many diverse works that Beecham included in his repertoire. In any Beecham discographies I have seen, there is not another Beecham recording of the Firebird. In fact, according the the Michael Gray discography 4, this seems to be Beecham's only commercial recording of any work by Stravinsky (!). Another remarkable aspect of this Beecham recording, recorded with his "Beecham Symphony Orchestra" is that it was recorded only 6 years after the 25 June 1910 performance of the original ballet by Diaghilev's Ballets Russes in Paris. This and a number of other Beecham Symphony Orchestra performances were recorded at the initiative of phonograph entrepreneur Louis Sterling, at that time General Manager of the British subsidiary of the (U.S.) Columbia Graphophone Co.
Sir Louis Sterling, circa 1950. 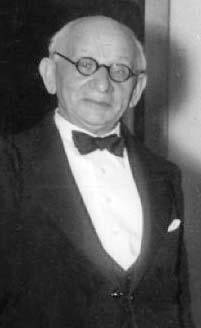 Formerly Managing Director of Columbia Graphophone in the 1920s and later Chairman of EMI. Also interesting about this performance is the insight it gives into the orchestral playing of this period, at least of such a novel score. In this performance, a number of the woodwinds, particularly the oboe seem to be "going through the motions" in performing the music, playing the notes without any conviction or seeming understanding. The Firebird must have appeared a bazaar score for musicians who may have first studied their instrument in the 1880s, at a time when Dvorak was "new music" and Brahms Symphony no 4 was just having its premier performance. Listen to the excerpt below and judge for yourself. So, for several reasons, this Beecham - Stravinsky recording is of particular historical interest. You can hear it by clicking on the link below. The Dance of the Firebird and the Infernal Dance from the Suite from Stravinsky's Firebird, were released on a two-sided British Columbia Graphophone 12 inch (30 cm) disk L 1040, matrices 6797-1-2 and 6799-1. In 1924, at the very end of the acoustic era, Stokowski and the Philadelphians returned to Camden, New Jersey to record Stravinsky's Firebird Suite. For this recording, unlike so many Victor acoustics, Stokowski used a timpani, although carefully, so as not to jar the sensitive acoustic diaphragm. The orchestra was larger than usual in an acoustic recording: 41 musicians; 7 first violins, 4 second violins, 3 violas, 2 celli, 1 piccolo, 2 flutes, 2 oboes, 1 English horn, 2 bassoons, 2 clarinets, 1 bass clarinet, 1 contra-bassoon, 1 bass saxophone, 3 trumpets, 4 horns, 1 tuba, 1 piano, 1 harp, 1 timpani and 1 percussion. The Firebird Suite would often be recorded on five or six 78 RPM sides by others, but Stokowski was able to fit it onto 4 acoustic sides. The first reason was the very rapid playing of this recording. Listen, for example to the end of the first side (click here), at about 3 minutes from the beginning. It is a tribute to the virtuoso abilities of the Philadelphia Orchestra of that era to be able to play such difficult and new music with precision and brilliance at such a speedy pace. The second reason for this Firebird fitting on only four 78 RPM sides is the very large cut of the repeating progression at the conclusion of the Suite, on side 4. Normally, this progression would lead up to the crescendo of the finale. This music is totally cut from Stokowski's recording. To hear this crescendo finale of the Firebird which is cut in the Stokowski recording, listen to the excerpt below of the finale in the 1928 recording by Oskar Fried and the Berlin Philharmonic, followed by the finale in the 1924 Stokowski recording. Note that sonically, the Oskar Fried recording is superior, since it was recorded using the electrical recording process. The Oskar Fried finale is immediately followed by the Stokowski finale. It is likely that this cut by Stokowski was not done simply to fit the Firebird Suite onto four 78 RPM sides. Stokowski made this same cut in his 1927 electric re-recording, and in all of his subsequent 78 RPM recordings of the 1930s and 1940s, when time length was not a problem. The sonic results of this acoustic recording were quite good, given the limitation of the process. However, the sonics of the 1927 Academy of Music electrical recording are so dramatically superior, it is a remarkable example of the progress of the recording technology, due to the Westrex Electric process in only three years. The first recording sessions for this work on 13 October 1924 were not successful, and all the approved takes were recorded in the Camden Church Studio on 8 December 1924. It was released early in 1925. This recording, although a stirring performance, came out just before the first Victor electrical process recordings were released, and so did not sell particularly well. However, it remains a thrilling experience and is one of the highlights of the Stokowski acoustic era. This recording of Stravinsky's Firebird Suite was issued by Victor in 1925 on two double-faced Victor 12 inch (30 cm) Red Seal disks: 6492, 6493, matrices C-30992-3, C-30993-3, C-30994-2, C-30995-3. In Europe, the Gramophone Company issued it on two 12 inch (30 cm) discs Gramophone DB-841 and DB-842. 3 Arnold, Claude Graveley, C.S.B. The Orchestra on Record, 1896 - 1926, An Encyclopedia of Orchestral Recordings Made by the Acoustical Process . Discographies, Number 73, Greenwood Press, Westport Connecticut. 1997. ISBN 0-313-30099-2. 4 Gray, Michael H. Beecham, A Centenary Discography. Holmes & Meier Publishers. New York 1979. ISBN 0-8419-0582-7. 7 Morton, David L. Jr. Sound Recording: The Life Story of a Technology. (4 volumes) Johns Hopkins University Press. 2006. ISBN-13: 9780801883989.